You can also be confident that youll possess the top skills being sought by employers. 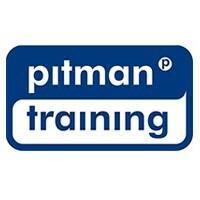 Youll also have the powerful Pitman Training name on your CV, as a quality mark of achievement. To continue your training, we’d urge you to look at our other Microsoft Office courses, or our Microsoft Office Plus Diploma. Whichever version you study, youll become confident in a range of Excels more sophisticated features including using AutoFill, creating and working with tables, using/hiding worksheets, custom formats; defining, using and managing named ranges; using conditional formatting and filtering data; recording and running macros; summarising data, database functions and pivot tables; using data across worksheets, switching between workbooks and workbook templates; worksheet, file and cell properties and using Excels statistical functions.